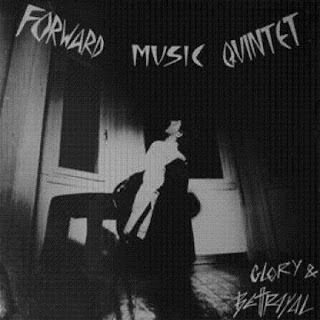 Forward Music Quintet formed in 1981 by two members of parthenogenesis. George Makridis (bass) and Takis Polihronopoulos (vocals). Members were also Natassa Streuberg (keybords), Elle (guitar and vocals) and Nick (drums). In 1982 they supported New order at their concert in athens Greece. The same years they toured with TVC in 10 greek cities. They released their first record in 1983 called "The Mystery Of A Dying Species ". In 1985 they released "Glory And Betrayal" lp on Enigma records but whithout Takis Polihronopoulos (vocals). Six years later (1991) the band with two members only Natassa and Shaman (gerorge makridis) released the lp "Vanishing Soldiers".